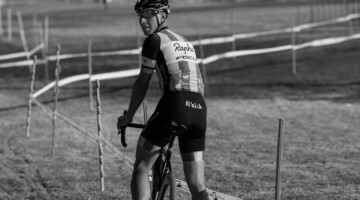 Mo Bruno Roy has been having a great season so far, winning local singlespeed races for fun and comfortably top-10ing in the big races like the Providence Cyclo-cross Festival. 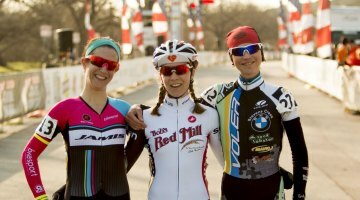 She came close to podiums at Green Mountain and Charm City, but it wasn’t until Ellison Park that she made her way onto a UCI podium this season with two second place finishes behind legendary sprinter Laura Van Gilder. 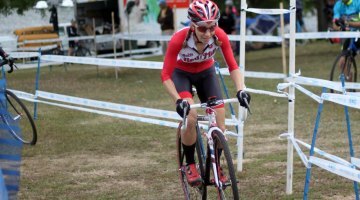 We caught up with Bruno Roy after Day 2 to find out how her “relaxed pace” ’cross season is going, and what’s up next for her. 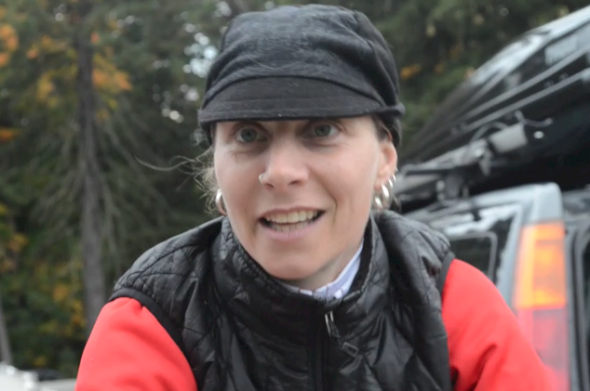 On the course on Sunday… It was almost the same feel to the course, but the downhills we did yesterday, they were punchy, steep hills today and they required a little more traction, so I rode my mud tires today despite no mud out there. There were just some traction issues out there. 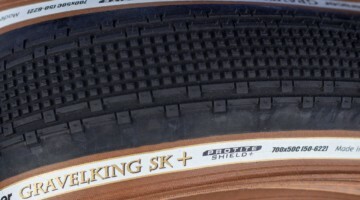 On tire choice… I rode the FMB SuperMuds. They were pretty nice. I thought they were perfect, I was able to rip the downhills and get a lot of momentum on the sections after the descents. On the MTB-ness of the course… I think that comes from having to handle your bike a little bit more. You had to do a little bike driving, which I prefer. On the season… It’s gone well so far. Two weeks ago in Providence, I was feeling on the up but also ready for a break. The time was perfect, I took a rest week before I did a seven day intensive yoga teacher training, which I’m just coming off of. This weekend I feel like I’ve been doing yoga two hours a day for the last eight days. I feel zen! I love everybody… but none of my muscles are really working. I feel like it took a little extra effort to get things feeling sharp today and yesterday. On what’s next… I’m back in yoga school next weekend, two weekends a month and two weekends a month of racing. I’ll do the Cincy3 next and then the Iowa race. 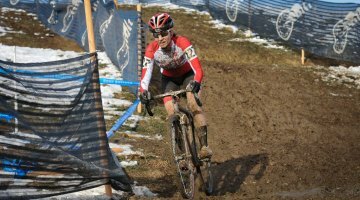 Then I’m home for Baystate in MA, then SSCXWC in Philly, then Belgium. Then a week home for Nationals. Given that I’m taking a laid back approach and traveling less, it’s still really full. 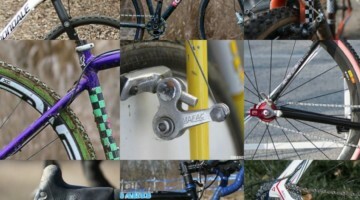 On the SSCXWC tattoo… I definitely would! That’s the point of winning, I think. I think you get shortcuts if you drink during the race, which I don’t do, so I’m going to have to go fast… I think the key to more fun is less gears. 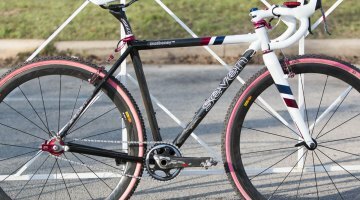 Stay tuned for more interviews and a look at Bruno Roy’s Seven ’cross bike, and check out the full interview below! Next post Pro Bike Profile: Raphael Gagne's Rocky Mountain Solo CXR "Team Edition"